Dedicated to maintaining the balance of nature for the mutual benefit of people and their plant & animal friends. Would you like to know more about the devastating effects of clear cutting our forests to provide fodder for giant electrical generating furnaces not only in here Nova Scotia but also in Europe, as we export shiploads of wood chips there??? The Friends of Nature, Canada’s oldest environmental conservation group, in collaboration with the Ecology Action Centre will present the documentary Burned followed by a discussion moderated by Ray Plourde, Wilderness Coordinator for the EAC, on the devastating effects of biomass electrical generation. The screening will follow the Friends of Nature Annual General Meeting to which the public is invited. Location: St Stephen’s Anglican Parish Community Centre, 60 Regent St., Chester, NS. This entry was posted in AGM, Biomass, Local Events on September 27, 2018 by Friends of Nature. Pulp companies use softwoods like spruce to manufacture paper products. 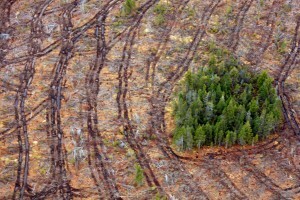 They obtain leases to cut wood on Crown land, in forests owned by the public. The leases allow them to cut hardwood trees on Crown land. When other energy prices, such as natural gas, soar, it becomes economic to burn hardwoods in the Point Tupper biomass plant to produce electricity, at an efficiency rate of less than 21.5 per cent. To put this in perspective, a woodstove can have an efficiency rate about 80 per cent to produce heat. Margins go up and margins go down, but one important aspect not factored into this equation as corporations adapt to profit, is the cost to wildlife. Animals are crushed under heavy equipment as they cower in their dens. Songbirds made their homes in these forests. Also a friendly reminder that if you haven’t renewed your Friends of Nature membership this would be a great time to do so. You can renew or join on our website! It’s important to our conservation efforts that we are able to tell politicians we represent a large number of Nova Scotians. Many thanks for your interest and support. Syd Dumaresq, Chair Friends of Nature. 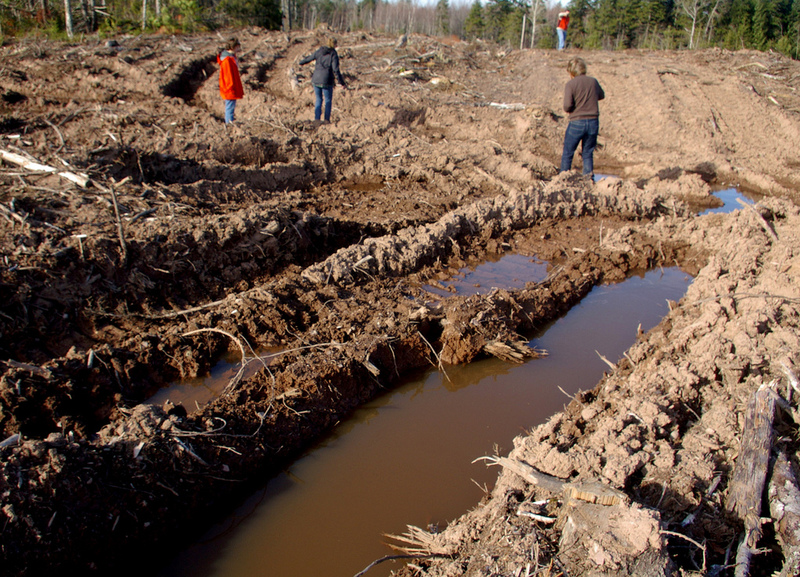 This entry was posted in Biomass, Clear Cutting, Department of Natural Resources, Ecology, Forestry, Nova Scotia, Sustainable Harvesting on February 13, 2018 by Friends of Nature. Yesterday, December 7, 2017 a delegation from Friends of Nature made a presentation to the Independent Review of Forest Practices, led by Professor Bill Lahey. Our presentation was well received and resulted in a healthy discussion with Mr Lahey. A copy of our brief is follows . . . The current state of the forestry in Nova Scotia is reminiscent of the coal and steel industry that existed in the 1950’s and 60’s when valiant efforts on the part of all levels of government were made to save a dying industry that had served its time and was no longer viable. The industry died, not because Nova Scotia ran out of coal but because it was no longer able to compete in the global economy. We suspect that something similar is happening with the forest industry. We believe that both Stora and Bowater saw the future and took the actions they did. Stora moved to Argentina where trees grow five times faster, labour rates are lower, taxes are lower, and supply lines are shorter. The two remaining pulp and paper plants are being propped up with government subsidies which are likely to disappear. As others have said, in the 1800’s Nova Scotia was producing the finest lumber in North America, for ship building, for export to Europe and the USA; by the early 1900’s the big trees were mostly gone so we started the pulp and paper mills making newsprint, toilet paper and eventually super calendar paper, mostly for export; and in this century the supply of trees has become so constricted that we are reduced to making biomass, mostly for export. The trees for the two remaining paper mills and for the saw mills are being supplied at rock bottom stumpage fees from Crown lands or from private woodlands where supply most often depends on a rural poverty motivator. Friends of Nature believe the forest industry is dying in its present form, it’s just that most people have not yet realized that fact. Instead of discussing a paradigm shift the discussion is about minor shifts that may or may not extend the current situation. This province has the capacity to grow wonderful large trees of high value but only if we give the forests time. The race to the bottom is being fueled by a desperate search for profits in an industry that is becoming more uneconomic every year. A paradigm shift will not be easy or painless, jobs will be lost, companies will go bankrupt, but overall the province will emerge a better place and an industry will be rebuilt. 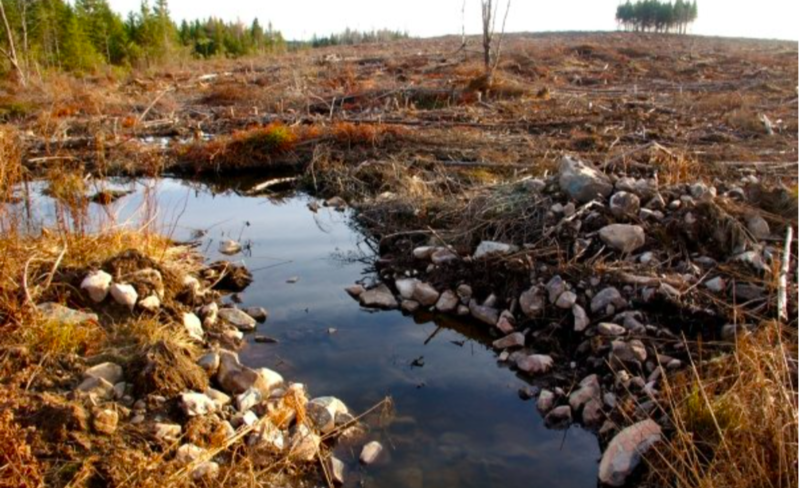 Friends of Nature suggest that the Province should look at the sunsetting of current forestry practices over a long term renewal program for the forest. The first to go should be whole tree harvesting which should immediately stop on all crown lands, next would be clearcutting, say 25 years to be completely eliminated on all crown lands. After that the province would allow only selective harvesting on crown lands with a size or age range for trees harvested. The main purpose of crown land would be to create a carbon sequestration forest that would be the lungs of the province, taking in carbon and breathing out oxygen. The province would be able to sell carbon credits derived from the crown lands on a regulated market, which would help finance the transition from machine intensive clear cutting to selective forestry. 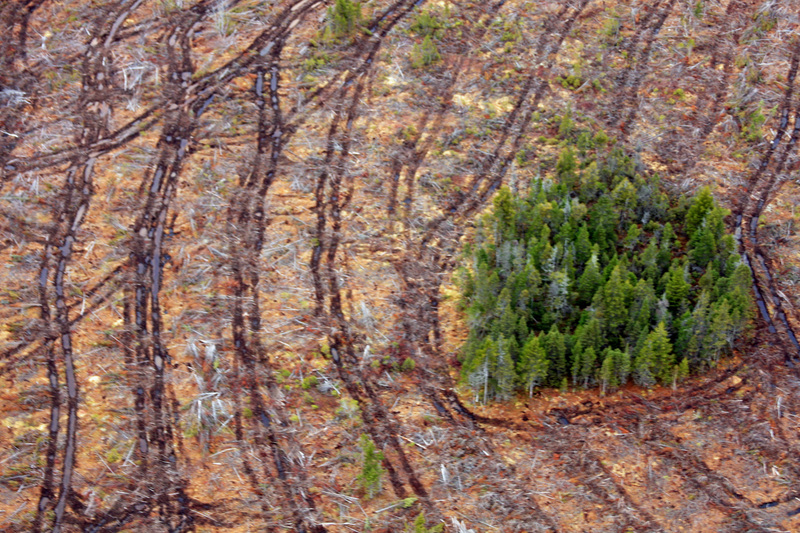 Nova Scotia would become a world leader in forestry. There was a very interesting article in the Herald in November by Soren Bondrup- Nielsen, a retired professor from Acadia, which supplies interesting support documentation for such a radical transformation. He provides real numbers. When we look at two of them, jobs in the forest industry and volume harvested, we see that employment in the industry has fallen from a high of 12,000 in the late 1990’s to about 5,500 today and we suspect this is still falling. The volume harvested in cubic meters hit a high point in the late 1990’s of six million cubic meters and has decreased to 3.5 million cubic meters in 2016. Those numbers seem to speak of an industry in rapid decline and would again seem to mirror what happened in the coal and steel industry during its decline and eventual failure. Prof. Bondrup-Nielsen advocates the growth of large diameter trees and carbon sequestration in the forests of Nova Scotia which would allow for a supply of large logs harvested selectively for the value added sawmill industry and the sale of carbon credits under a cap-and-trade system. Friends of Nature believe those objectives would be supported by most Nova Scotians. wood left, except on private lands, is in south western NS. This is part of the former Bowater lands that was already FSC certified. With FSC certification we, the public, has input in all the harvest plans ( After all we own the crown lands). FSC is a much better standard of forestry, eg bigger buffers, longer harvest rotations, public input and protection of the forest canopy. This entry was posted in Biomass, Clear Cutting, Climate Change, Conservation, Department of Natural Resources, Ecology, Forestry, Nova Scotia, Sustainable Harvesting on December 10, 2017 by Friends of Nature. Ken MacRury and I attended a presentation on a Bridgewater biomass proposal and a Dalhousie Agriculture Campus biomass proposal. The presentations were organized by the Ecology Action Centre. Both proposals are co-generation and both are Comfit. Dal will sell power to the grid @ $.17/kwh and will heat the campus from the biomass boiler. BW will sell to the grid and heat at least the NSCC campus and hopefully the provincial building, the courthouse a new subdivision and possibly other commercial neighbours. Both have very high efficiencies due to the co-gen aspects. Both have to be up and running in the summer of 2018 to qualify for the Comfit contract. They will gasify the wood fibre. The gas will fire the generators. The by product will be charcoal which they will sell to agriculture outfits and for filtering. The proponent suggested that charcoal used as a soil amendment captures and sequesters additional carbon from the soil which might otherwise get into the atmosphere. They predict no emissions from the generators. 55% of the wood will be stem wood from the Medway Forest Coop or from other certified producers. The stem wood would be poplar or grey birch which apparently has no other market as these species don’t make good firewood. Selling to the biomass plant was said to be important to the success of the Medway Coop. They already have a wood chip boiler which has died and are replacing it with the new biomass boiler. They are well along and will probably meet their deadline due to the building already existing. The electricity generated will just about offset the entire campus consumption. They seem dedicated to doing this responsibly. My personal opinion is that these projects can both be reluctantly supported. 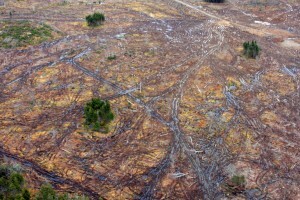 The bad aspect is the continued destruction of our forests which would be better left intact. Support of the Medway Coop which is trying to demonstrate excellent harvesting practices. This entry was posted in Biomass, Nova Scotia, Sustainable Harvesting on June 26, 2016 by Friends of Nature. The public is welcome to attend the 63rd Annual General Meeting of the Friends of Nature. 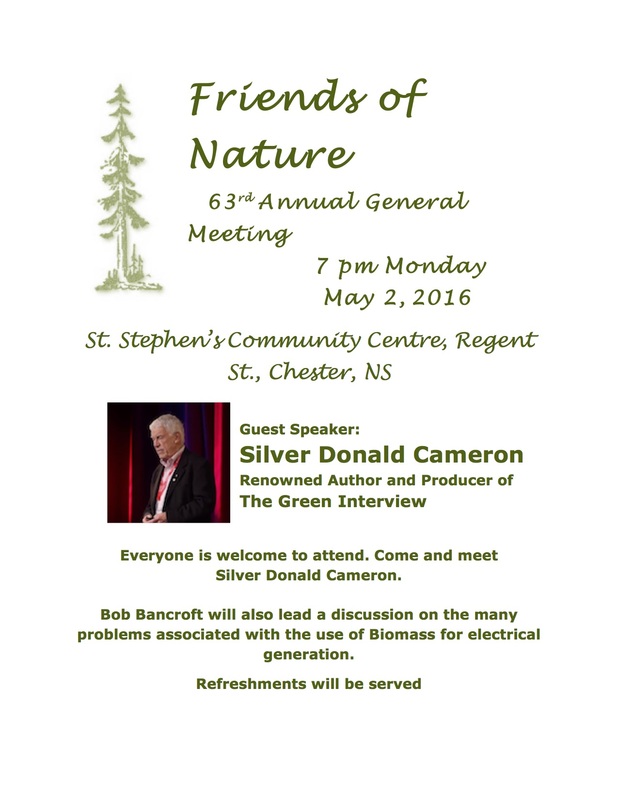 Come and meet renowned author Silver Donald Cameron, who will give us an update on his Green Interview project, and noted wildlife biologist Bob Bancroft, who will lead us in a discussion on the negative impact of the use of forest biomass to generate electricity. Learn about progress being made by the Healthy Forests Coalition in slowing the use of forest biomass. Friends of Nature is a valued member of this coalition. All welcome, refreshments will be served. This entry was posted in AGM, Biomass, Chester, Local Events and tagged Biomass, Bob Bancroft, Silver Donald Cameron on April 14, 2016 by Friends of Nature. We have a partial victory on the Biomass campaign, thanks to the petition and the hard work of the Forest Coalition of which Friends of Nature is a member! This press release came out today. Stopping the must run status of the Port Hawkesbury plant is a start but our ultimate goal is still to shut it down or convert it to natural gas. This entry was posted in Biomass, Nova Scotia, Sustainable Harvesting and tagged Nova Scotia Forestry on April 10, 2016 by Friends of Nature. Friends of Nature have been working with an as yet un-named group to protest the terrible devastation going on in our forests in order to supply wood to the biomass furnace in Port Hawkesbury. I urge you to sign the petition and to read the background information on how not “green” biomass technology has turned out to be. 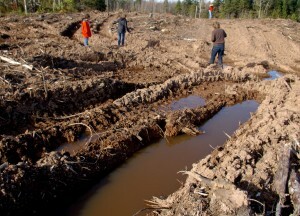 This entry was posted in Biomass, Sustainable Harvesting and tagged Petition on Biomass, Stop destroying Nova Scotia's forests for biomass power generation on February 23, 2016 by Friends of Nature. Is Forest Biomass Energy Green? As it turns out, burning Nova Scotia’s forests for electricity can put more carbon into the air than burning coal, at least for a few decades. Why? Burning trees to make electricity is inherently inefficient. Most of the energy in a tree is wasted “up the chimney” when burned for electricity. Plus, biomass harvesting can deplete carbon stored in forests. So far, most governments have been slow to respond to the overwhelming science on the down-sides of biomass energy. The State of Massachusetts, however, brought in minimum efficiency regulations to make sure that “dirty” biomass plants would not receive government subsidies. If Nova Scotia were to do the same, then Nova Scotia Power’s Port Hawkesbury biomass plant would be too dirty to qualify as renewable energy. Of course, forest biomass electricity is not only questionable from a carbon emissions perspective. Removing the majority of biomass from a forest can devastate biodiversity, and reduce the productivity of forest soils. Is there a good form of biomass energy? Yes. Burning wood that is cut from well-cared for woodlots to heat buildings can help to reduce carbon emissions, provided the wood is burned in highly efficient woodstoves or furnaces. For more information, please read the Biomass Report from the East Coast Environmental Law Association, written by Jamie Simpson. Click here to download. This entry was posted in Biomass, Nova Scotia and tagged Forest Biomass on January 24, 2016 by Friends of Nature. 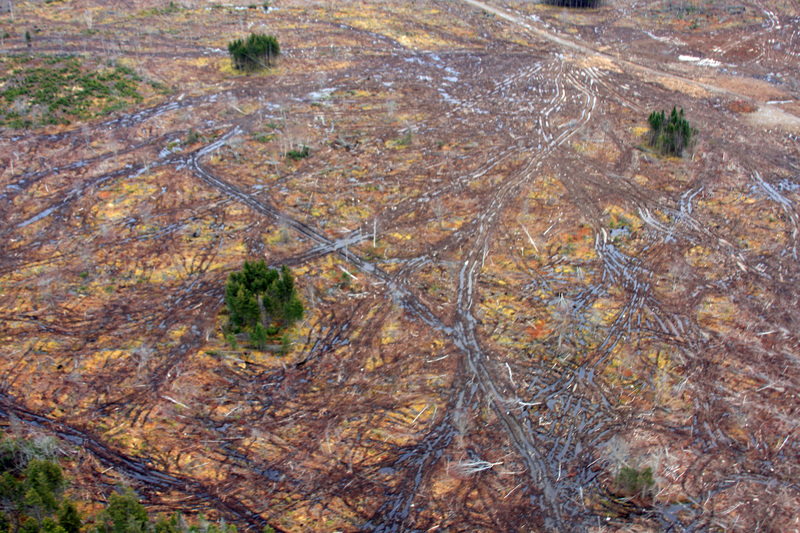 This entry was posted in Biomass, Clear Cutting, Department of Natural Resources, Nova Scotia, Sustainable Harvesting and tagged Clear cutting, Nova Scotia Forestry, NSP Biomass project on January 15, 2015 by Friends of Nature. We love donations, but we can't issue tax creditable receipts for them. But we can send you a thank you note for your contribution. Click the "Donate" button below. Since 1954, when the organization was formed by Martin Rudy Haase to protect a unique island in Maine, Friends of Nature has been dedicated to maintaining the balance of nature for the mutual benefit of people and their plant and animal friends.